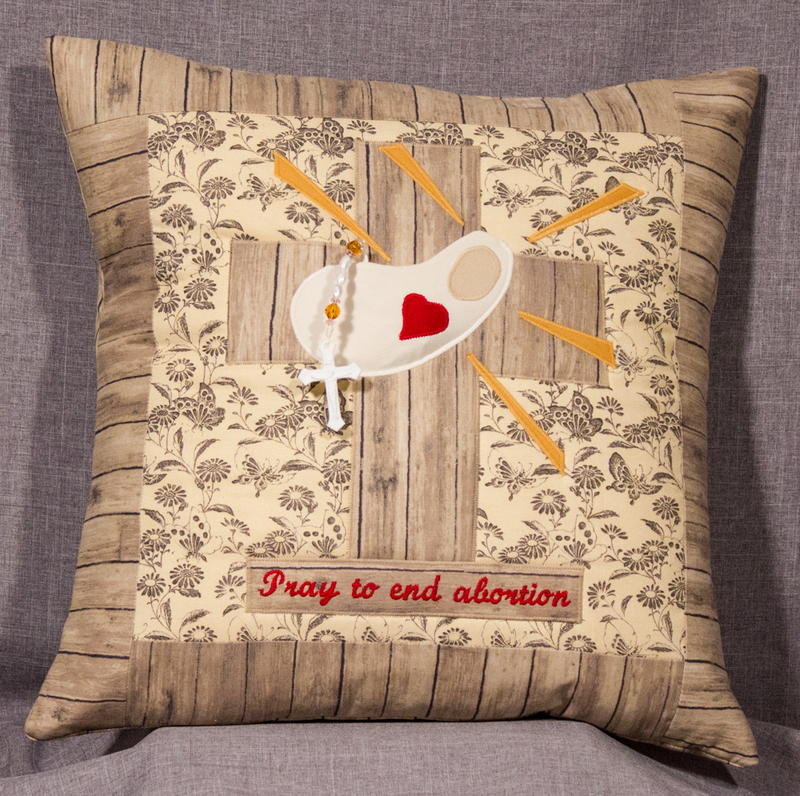 All pillows cost a suggested $40 Dollars for Life and the proceeds are donated to pro-life organizations to help families choose LIFE. All pillows come with either a rosary or a Christian prayer card. The Prolife Prayer Pillows support Our Lady in her mission of spreading the rosary to end evil and bring forth God’s love into the world. The inspiration for the Prolife Prayer Pillow came through prayer from the heart of our seven-year-old daughter, Grace. 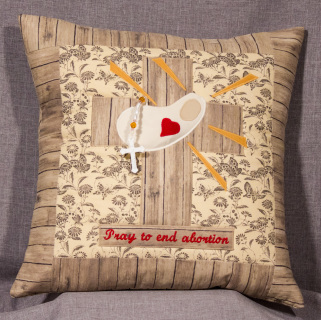 Prolife Prayer Pillows can be purchased online by scrolling down. Prayer Pillows are also sold at the following stores: Gloria Deo, 13065 W Center Rd. Omaha, NE 68144, Cosgraves, 8222 H Street, Omaha, NE 68127 and The Carpenter's Shop in Yankton, SD. The inspiration for The Original Prolife Prayer Pillow came from prayer through the heart of our seven-year-old daughter, named Grace. After praying at a Holy Hour for Life, Grace said that she wanted to make something and sell it and "give the money back to the mommies so that they don't have to do abortions." When asked what she wanted to make she said, "I want to sew a cross and stuff it and on the cross I want to put a baby, because those babies suffer like Jesus suffered on the cross. I then want to put a heart with rays of light coming from the baby." 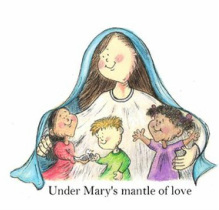 Order pillow below and choose a rosary or Christian prayer card to put in pocket. PROCEEDS DONATED DIRECTLY TO PRO-LIFE ORGANIZATIONS OR USED TO PURCHASE ITEMS FOR ABORTION-MINDED MOTHERS IN NEED. Shipping is free with order as long as it is standard shipping. If overnight shipping is needed please contact sales@heartofachildministries.org. If you would like to make a donation to support this ministry in purchasing fabrics, pillow forms and supplies, please click on link below.